People use computers at the state Department of Labor's Career Center in Bangor in this BDN file photo. AUGUSTA, Maine — Maine labor officials say the unemployment rate was up slightly in May, but continued a historic run of low numbers. The unemployment rate rose to 2.8 percent in May from 2.7 percent in March and April. The May rate was a drop from 3.4 percent a year ago. 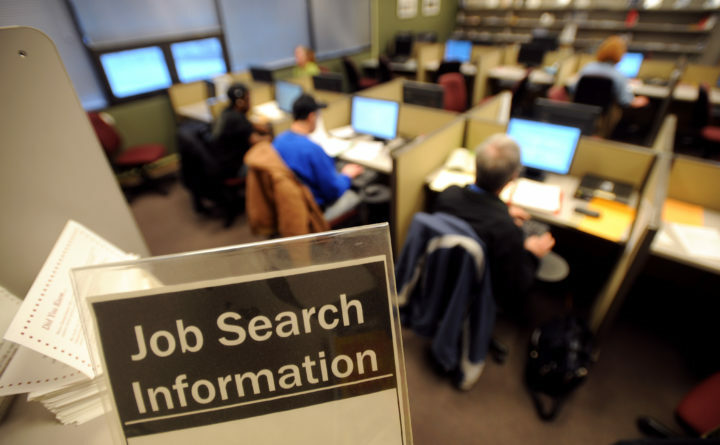 The Maine Department of Labor says the state’s unemployment rate has been below 4 percent for 30 consecutive months, which is the longest stretch on record. Maine’s rate was also lower than the nationwide rate of 3.8 percent, which was slightly down from 3.9 percent in April. The New England rate was 3.6 percent.